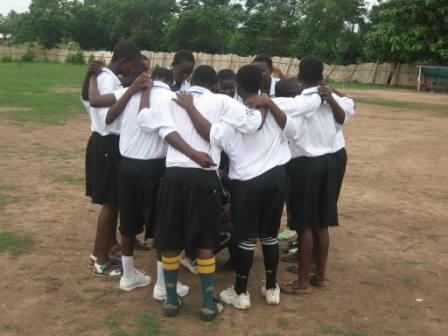 Girls Club in Kenyasi, Ghana Participate in District Games! 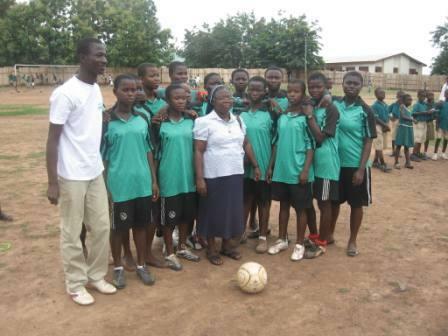 The Girls Club in Kenyasi, Ghana (in white jerseys) played a football match against the Roman Catholic Junior High School-R/C JHS (in green jerseys). 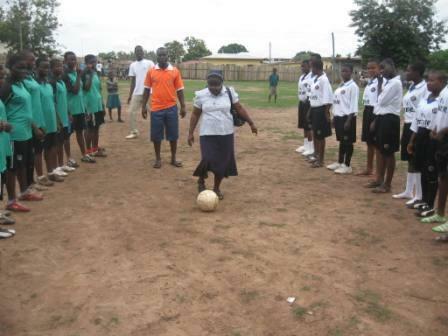 Before the match started, the Reverend Sister Dora Wilberforce, Headmistress of Our Ladies of Apostles (OLA) Girls Secondary School, kicked the ball for the commencement of the match. 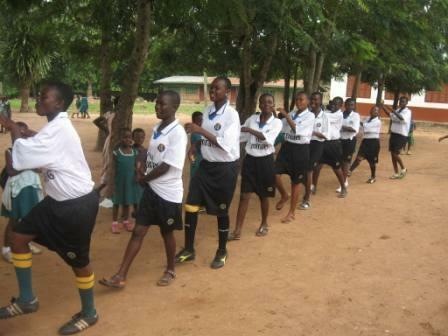 She is the Head of the R/C JHS girls team. Rev. 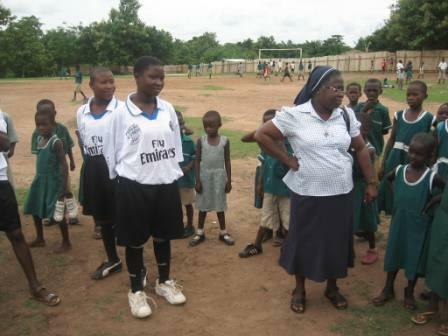 Sister Martha Davies, the Patroness, who heads up the Girls Club Kenyasi, was also in attendance. 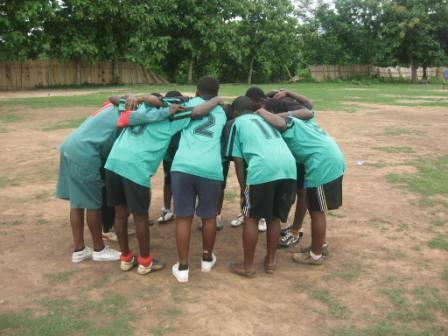 The match ended with the Girls Club of Kenyasi as the winning team! Congratulations team!